Dr. Mohammad Javed Patwary, BPM (Bar) was born in Chandpur District of Bangladesh. 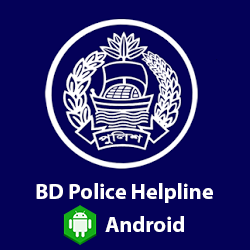 He joined Bangladesh Police as an Assistant Superintendent of Police through Bangladesh Civil Service (BCS) Examination in 1984 and topped the list of merit in BCS (Police) Cadre. He obtained his Bachelor’s degree with Honours majoring in Social Welfare from University of Dhaka. He completed his Post Graduation in the same securing first class. In pursuance of academic excellence and professional skills, he earned a Ph.D. on “Combating Terrorism in Bangladesh: Challenges and Prospects” from Jahangirnagar University. He went on to receive Post Graduation Certificate in “Criminal Justice and Police Management” from University of Leicester, UK and Certificate of Achievement in “Criminal Justice Education” from University of Virginia, USA. In addition to attending the Crisis Management Program in University of Maryland, USA, he graduated from Police Staff College, Bramshill, UK, FBI National Academy, Virginia, USA and underwent advanced professional training. Dr. Patwary left an indelible mark of distinction at Harvard University while finishing “US-South Asia Leader Engagement Program”. 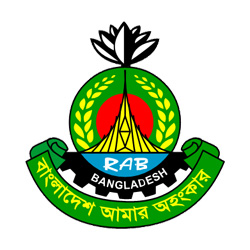 In the span of thirty two years of career, he served in various capacities of Bangladesh Police with reputation, integrity, competence, professionalism, and code of ethics. Dr. Javed infused various best practices in the modality of professional dispensation to add glory and dignity to the police Service. He held many important commanding positions which include Additional Inspector General at CID, Additional Inspector General at Police Headquarters, Police Commissioner of Rajshahi, Police Commissioner of Khulna, DIG of CID, Commandant of Police Training Centre (PTC) Noakhali, Commandant of Police Training Centre (PTC) Rangpur, Director of Police Staff College and Special Superintendent of City Special Branch. Before being promoted to the rank of Inspector General of Police, he served as the Chief of Special Branch, the premier Intelligence Agency of Bangladesh, for consecutive nine years in the rank of Additional Inspector General, out of which he enjoyed the last five years the status of Secretary to the Government of Bangladesh. Dr. Patwary served in four United Nations Peacekeeping Missions and was awarded with UN Medal. He was appointed Deputy Police Commissioner (Acting) in United Nations Mission in Sudan (UNMIS). He served as the Chief of Administration, Missing Persons Unit in United Nations Mission in Kosovo (UNMIK). His international career also includes the capacity of Chief of Operations in United Nations Mission in Sierra Leone (UNAMSIL) and Station Commander in United Nations Protection Force (UNPROFOR) in Croatia. 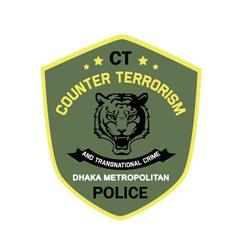 His gallantry and bravery in counter-terrorism has reaped great admiration with the award of Bangladesh Police Medal (BPM) for two times, the highest award of Bangladesh Police. He also achieved IGP’s Exemplary Good Service Badge twice in recognition of his highest professional standard. 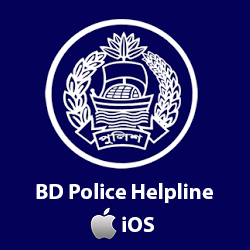 Dr. Patwary is a resource person of Bangladesh Police Academy, Police Staff College, Detective Training School, School of Intelligence of Special Branch and BCS Administration Academy under Ministry of Public Administration. He regularly teaches diverse range of subjects in different universities. He is a visiting faculty of Institute of Social Welfare and Research, University of Dhaka and teaches “Victimology and Restorative Justice” and also Department of Criminology and Police Science, Mawlana Bhashani Science and Technology University, Tangail. In his personal life he is married and blessed with two sons and a daughter.